This is a big part of the project. The existing phase 1 ends at an aerial station just shy of crossing Venice Boulevard. 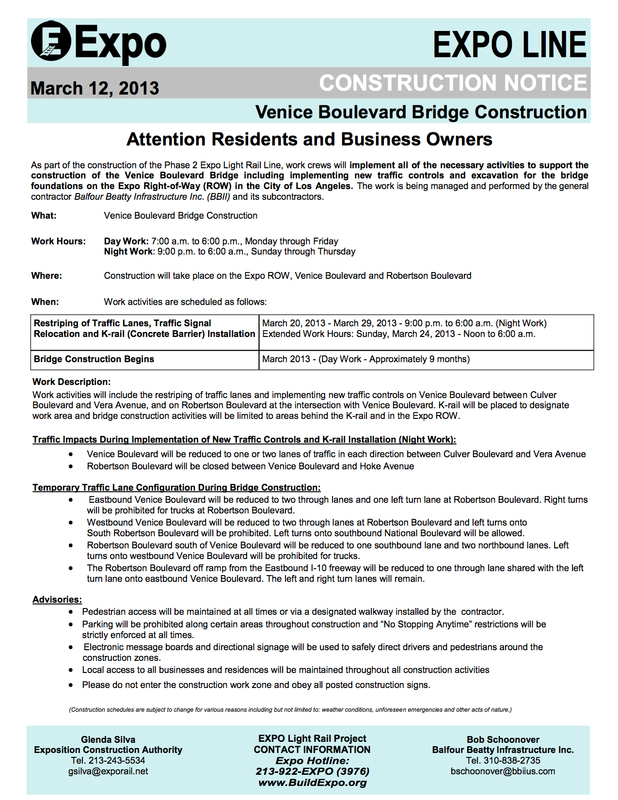 The new bridge will carry the two tracks over Venice and toward Palms and eventually Santa Monica. It’s a big structure and, therefore, there will be traffic impacts that are detailed above in the notice from the Expo Line Construction Authority, the agency building the line that Metro will eventually operate.